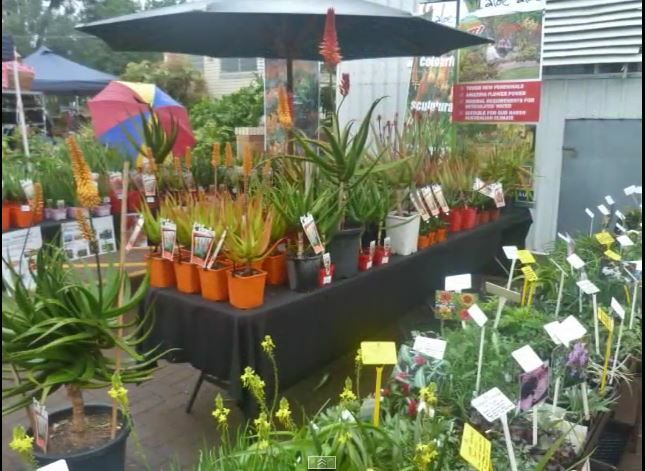 The annual “Ipswich Home Gardener’s Expo®” is being held on Saturday 31st August 2019 at the campus located between Eileen and Green Streets off Glebe Road, Booval, Ipswich, between 8:30 am and 3:00 pm. The event comprises more than 75 stalls consisting of numerous plant stalls, garden tools, garden products and ornaments, craft, bark painting, pots and hangers, and much more. A Plant Crèche will be on site to look after your plants, and an ATM will be available should you require funds. Each year there are a variety of guest speakers. In the Speaker’s Forum this year, our guest speakers are Jerry-Coleby Williams, Paul Plant, Claire Bickle and Kate Wall from “The Gardeners’ Wall”. To find out more information on these speakers and the associated “Speaker’s Program”, go to the “What’s On” page and corresponding “Drop Down” pages of this web site’s Page Banner. The Expo has a large Food Court on site where food is available all day in the form of a sausage sizzle, sandwiches, cakes, tea, coffee and cold drinks etc. Due to popular demand, each year “The Fiddler’s Inn” provides musical entertainment throughout the day. There is easy access for wheel chairs to all events at the Ipswich Home Gardener’s Expo. Each year, there is easy parking on the roads around the Garden Expo, especially Glebe Road, Green and Eileen Streets. Note: This year there is parking available on Cameron Park opposite the Garden Expo on Green Street at a cost of $2.00. Entry to the Cameron Park car parking is via the gate near the toilets on Easton Street, Booval. At the Green Street entrance there is a “Drop Off” and “Pick UP” point for buses. Seating is available around the grounds with numerous tables and chairs in the food court. The “Plant Crèche” also has a car “Pick Up’ point when picking up your plants. The “Ipswich Home Gardener’s Expo®” is a very popular event on the Ipswich Calendar. Come along to the Expo and, while in Ipswich, be aware of other attractions, such as Queen’s Park, and Nerima Japanese Garden. We hope that you can visit the Ipswich Home Gardener’s Expo and be part of this event. It’s over for now – see you in 2018.